- 16 Million colours of LED light with this colour changing light bulb. Pick a colour that matches your mood and colour your interior. 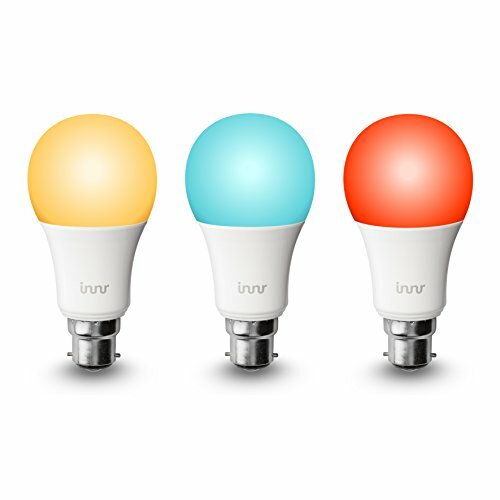 The bulb can function as a disco bulb when you use your favorite party app and the Philips Hue bridge. - Easy installation. Fits into your existing lamps with B22 Bayonet socket. Extend your Philips Hue starter kit with these RGBW bulbs which also work with the Hue switch.